Poland’s TVN is in the sights of Time Warner of the US and Vivendi of France according to reports. Time Warner wants to buy TVN directly rather than through Central European Media Enterprises, in which Time Warner owns 31 per cent. 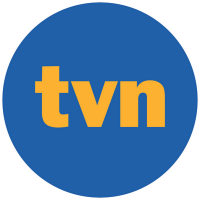 TVN, valued at €1.03 billion is controlled by ITI Group, a Polish media company. It is assumed the sale of ITI’s 56 per cent stake would trigger a bid for all stock. Vivendi owns Cyfra+, the second-largest satellite TV business in Poland by subscribers and revenue after TVNs’. At various times in the sale process other suitors have included Discovery Communications, Viacom, News Corp, RTL and private equity companies including Advent, Bain Capital and Providence.